Thomas E. McClellan, DDS passed away in his home in Piedmont Oklahoma on February 25, 2017. Dr. McClellan was born on Dec. 11, 1932 to John and Daphne McClellan in Jordan Kentucky. He graduated from Hickman High School in KY and received his B.S. Degree from Southwestern in Memphis, TN. Thomas continued his education receiving his Dental Degree from the University of Tennessee in 1955 and his Masters of Public Health from the University of California at Berkley in 1965. On June 21, 1954, McClellan married his lovely wife Joyce Elaine Byrd and together they had three wonderful children Daphne, Ed and Cynthia. Dr. McClellan served as a Commissioned Officer of the U.S. Public Health Service. His first duty station was with the Coast Guard in Staten Island NY. He was then stationed in Tuba City with the Indian Health, followed by Phoenix, AZ, Aberdeen, SD, Richmond, CA, Frankfort, KY, and then Bethesda, MD. He then went to Oklahoma City, OK where he served as Chief of Area Dental Services, Acting Area Director and Assistant Area Director for Program Services. 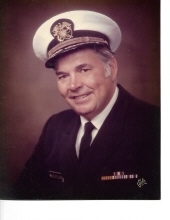 He retired as Captain in the U.S. Public Health Service. Just before his retirement in 1983, Dr. McClellan moved his family to Piedmont, OK, where he began farming on 10 acres of land growing asparagus, strawberries, pecans, and various other crops. Thomas loved working out in his gardens and spending time with his wife and six grandchildren. Thomas was a hardworking honest man of integrity that was devoted to his family. He is survived by his wife Elaine, daughters Daphne Lynn Cover and husband Tom of Baltimore MD. Cynthia Elaine Tillson and husband Larry of Sand Springs OK and son Thomas Edgar McClellan Jr. and his wife Shelley of Westminster CO. He is also survived by six grandchildren Matthew Tillson of Duncan OK, Andrew Tillson and wife Kendra of Tulsa, OK and Jacob Tillson and wife Jennifer of Jenks OK, Sarah McClellan of Oxford, NE Quintin McClellan Westminster, CO and Kelsey McClellan of Baltimore, MD. Thomas is also survived by his sister Clara Sargent of Benton, KY, and Brother-in-law, Boyce Ross of Paducah, KY and many nieces, nephews and cousins. He was preceded in death by his parents and sister JoAnn Ross. The family would like to thank Right-At-Home and Entrust Home Health and Good Shepard Hospice for taking care of their beloved family member. Graveside services will be Tuesday, February 28, 2017 at 2:00pm in the Kansas Cemetery in Piedmont. Funeral Services are under the direction of Groves-McNeil Funeral Service, Piedmont, Oklahoma. To send flowers or a remembrance gift to the family of Thomas E. McClellan, please visit our Tribute Store. "Email Address" would like to share the life celebration of Thomas E. McClellan. Click on the "link" to go to share a favorite memory or leave a condolence message for the family.